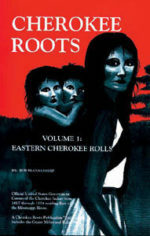 I have always been told that my great grandmother was Cherokee, and I want to find out for certain. I can provide family history. To start: EUNA JANE YOUNG, b. March 24, 1872, Irwin Co, GA; d. January 10, 1954, Irwin Co, GA, and was married to HENRY THOMAS FLETCHER, b. February 26, 1875, d.
I was told that my great-grandmother Louella Elizabeth Cooper was of Cherokee blood. She married a Conway, and I know her father’s name was Henry ‘Cap’ Cooper. She was born in Robertsdale, Alabama around 1880. I know that area held a lot of Creek Indians but I also know the Creeks merged with the Cherokee. Oliver Corn was my grandfather on my moms side and his wife was Vernacular Cooper. My grandfather died here in Calhoun GA. Gordon county my grandmother ALS that is all I know about where she came from.